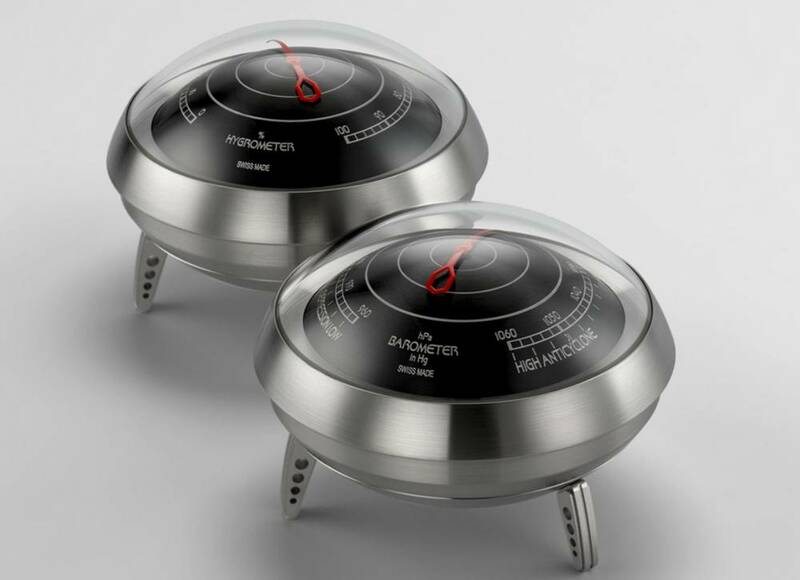 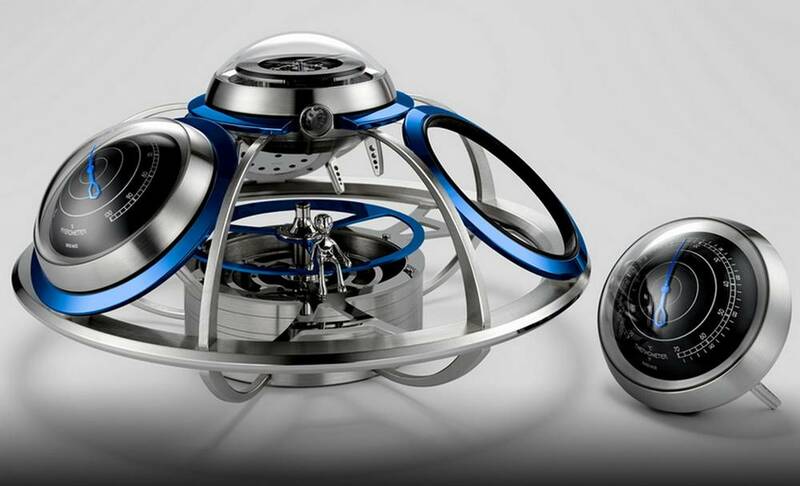 The Fifth Element is an intergalactic horological weather station enabling accurate weather forecasting. 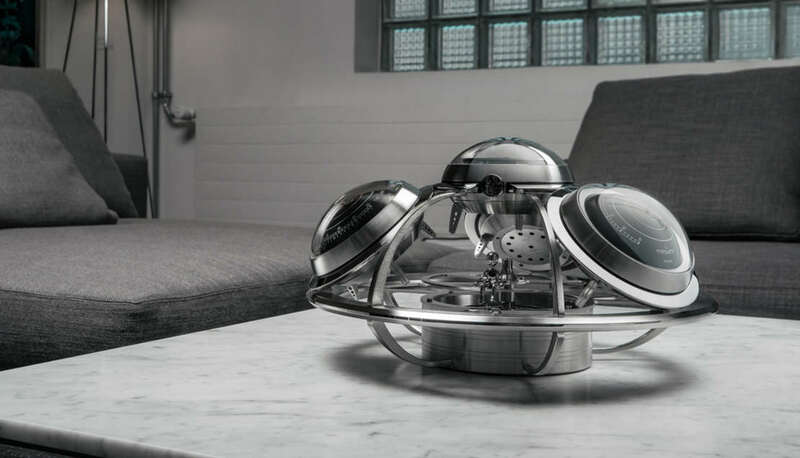 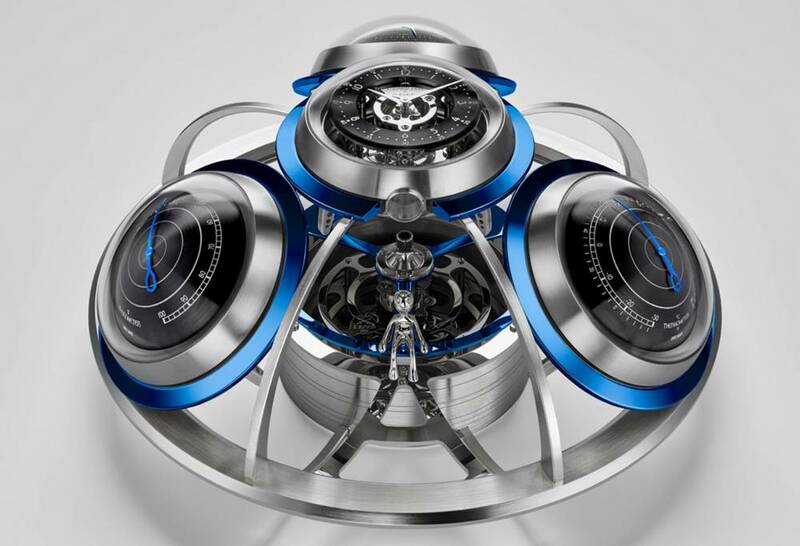 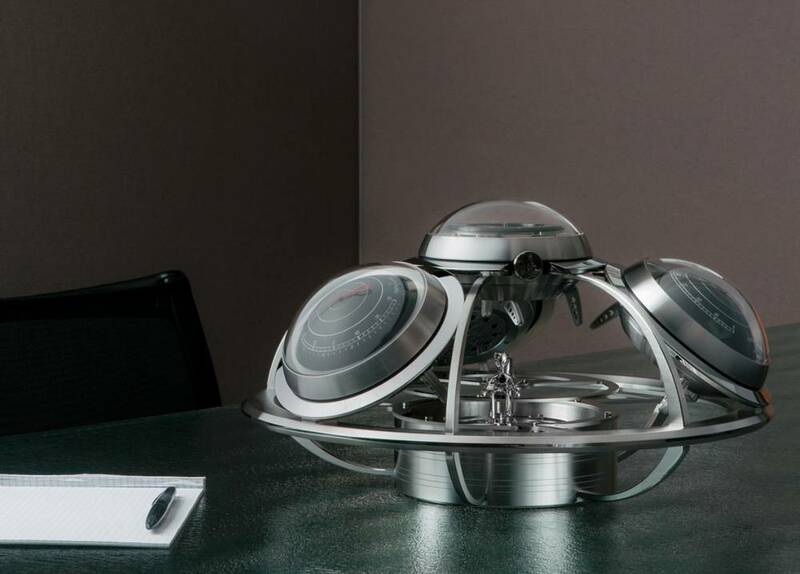 The MB&F Fifth Element features: Four (UFO) elements, clock, barometer, hygrometer, and thermometer combined in a mother ship (with Ross, the alien pilot) to create an entity much larger than the sum of its parts, that works even when the power goes down. While the Fifth Element attends to the serious side of weather forecasting with joyful fantasy, this space-age weather station was only made possible thanks to L’Epée 1839, which mastered the precision manufacturing of the intricate series of curves and circles within circles that make up the large structure. 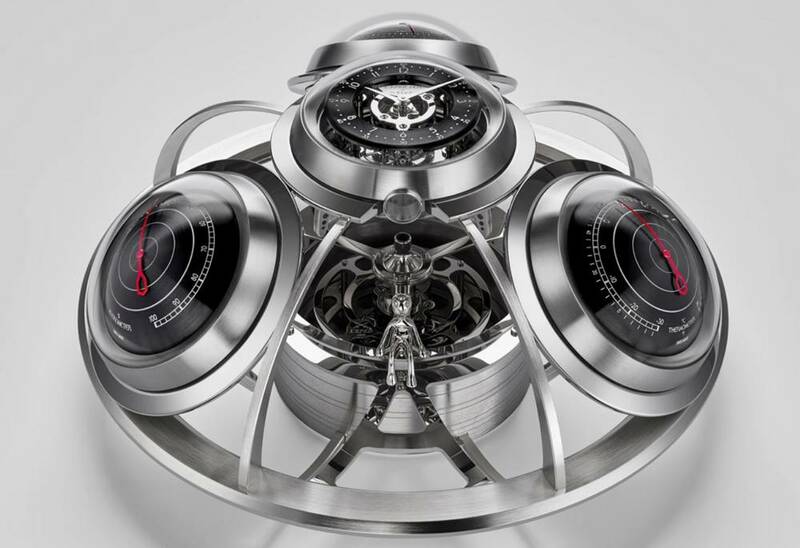 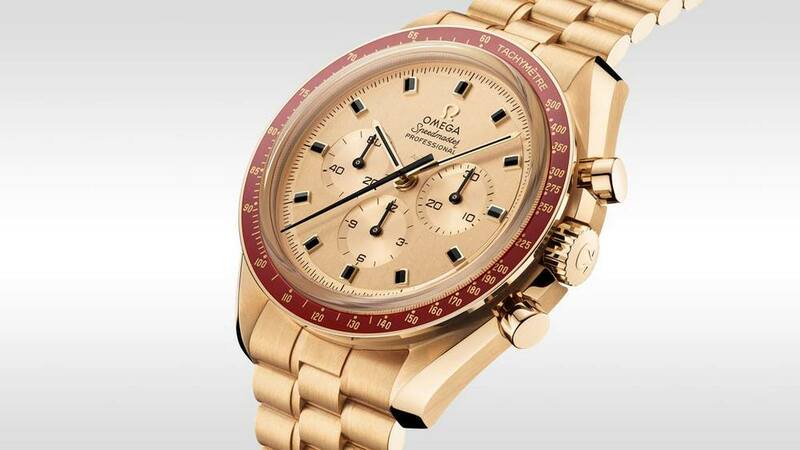 Over 500 individual components form the mother ship and its interchangeable Elements; more than many Grand Complications!